Authorities are investigating a double shooting that left one man dead in Weymouth, Massachusetts. Police are searching for the gunman responsible for the fatal shooting of a 26-year-old man and injury of another man in his late 20s. The shooting was reported at about 9:30 p.m. Tuesday in Weymouth, Massachusetts. The victims were found near the entrance of the Weymouth Commons Apartments. 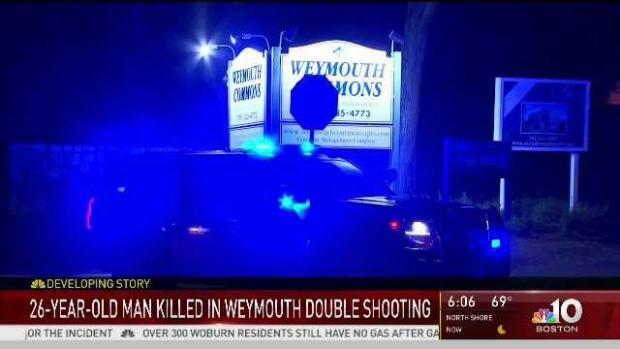 A 26-year-old man was killed and another man in his late 20s was injured Tuesday in a shooting near a Weymouth, Massachusetts apartment complex. Police received a call about the shooting at approximately 9:30 p.m. on Rockway Avenue, officials said. Both victims were found near the entryway of the Weymouth Commons Apartments before they were rushed to South Shore Hospital. The 26-year-old victim, identified as Nickey Gomes, was pronounced dead at the hospital. The other victim, whose identity has not been released, is expected to survive. "Police have done a sweep of the area and it's generally believed that individual or those individuals have left the scene," Norfolk County District Attorney Michael Morrissey said. 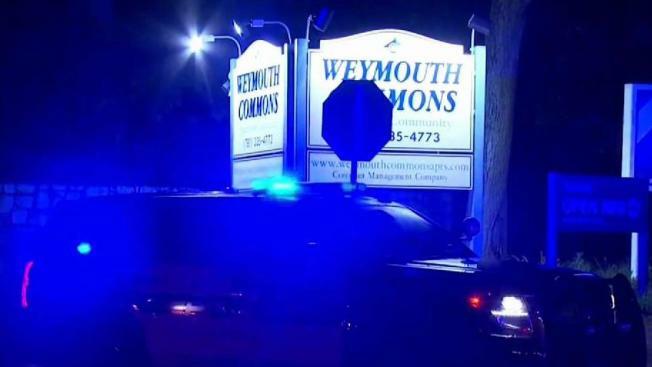 Police are investigating a double shooting in Weymouth, Massachusetts that left one 26-year-old man dead and another injured. Gomes is formally from Brockton but was apparently staying at the apartment complex. A source alleged that the man killed had been charged with attempted murder after a shooting outside a hotel in Sharon two years ago. A vehicle at the scene was towed by police. Officials are searching for the gunman and a possible motive. State police and ballistics experts are assisting with the ongoing investigation. Double Shooting Reported in Weymouth, Mass.